The flamboyant Queen front-man released 15 solo singles and two solo studio albums during the 80s. 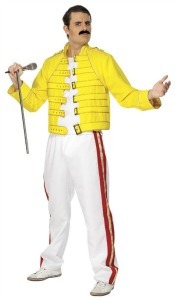 Although he wasn't as commercially successful as Queen, he still managed to produce seven Top 40 hits in the UK. 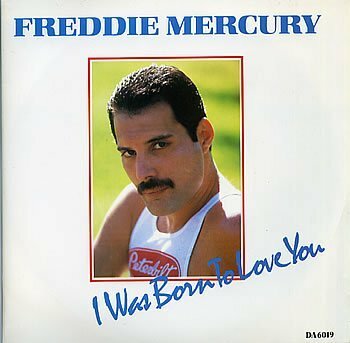 I Was Born To Love You reached #11 in the UK during April 1985 and was Freddie's second solo single. It was the first song to be released from his Mr. Bad Guy album. Other singles released from the album were Made in Heaven (#57), Living On My Own (#50) and Love Me Like There's No Tomorrow (#76). A remix of Living On My Own reached #1 in the UK in 1993. Freddie Mercury died from Bronchial Pneumonia (resulting from Aids) on 24th November 1991, aged 45. This video features Queen's live version of I Was Born To Love You. Queen remixed the song in 1995, and this performance was in 2005. Mr Bad Guy was Freddie's first solo album. Released on 29th April 1985 the album reached #6 in the UK achieving a Gold sales certificate.